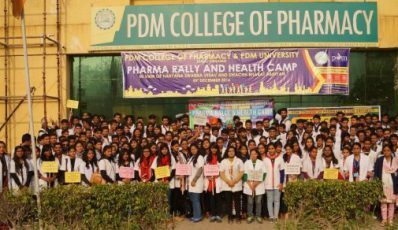 Faculty of Pharmaceutical Sciences, started in 2004 as PDM College of Pharmacy under aegis of PDMREA. 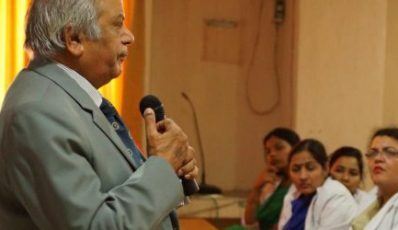 It is situated in 5 acres of green scenario land, having building and infrastructural facilities as per norms and standards of AICTE, New Delhi, and Pharmacy Council of India. The Department is equipped with the latest infrastructure and equipment’s and has put in place highly qualified responsible teachers so that the best can be offered to the students. 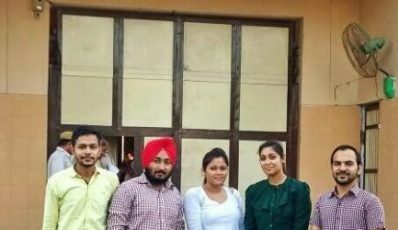 Along with the academic pursuits, the Department carries out various extracurricular and cultural activities aimed at total personality development of the students. The aim is to help students to develop an intelligent mind with analytical ability so that they always remain in the forefront in whatever pursuit they undertake. The overall ambience of the campus is distinguishable by serenity, which is conductive for intellectual pursuits. In short, our aim is to create a top class Department of Pharmacy that will train future researchers who can provide best possible pharmaceutical care to the community. Pharmaceutical science is related with the healthcare education/profession that deals with the collection, preparation, and standardization of drugs with combined form of health and chemical science charged with ensuring the safe and effective use of pharmaceutical drugs. It has a significant impact on the health of the community and improving services for the patient. It instills fundamental values and directs specific attitudes for the healthcare professionals. Pharmacy is an essential part of the healthcare system all over the world and revolves around people and medicines with special emphasis on the manufacture of medicines, their supply, appropriate use and effects. The ultimate concern of this profession is to ensure that the patient receives the appropriate medicines and benefits from the proper use of these. Contrary to popular belief, pharmacy is not limited to counting and dispensing pills. Pharmacy is a rewarding profession in the health care system that involves working closely with doctors and patients. It is an important and trustworthy occupation that reaches into almost all aspects of medicine and healthcare. The Indian Pharmaceutical Industry, today, is in the forefront of India’s science-based industries with wide ranging capabilities in the complex field of drug manufacture and technology. This industry can boast of high quality producers and recognition from many international regulatory authorities. Many international companies have entered this sector in partnership with Indian Companies. Globalization of the profession has now thrown up as many challenges as opportunities before those who are involved in this profession. 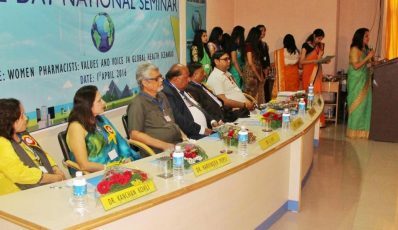 In this scenario, PDMU has as a great role to play in equipping our students adequately to live up to this grand vision and to enable the industry to meet these challenges.